https://i360austin.com/wp-content/uploads/2016/05/001-Innovation360-Dallas.png 320 720 administrator https://i360austin.com/wp-content/uploads/2016/06/Innovation-360-main-logo-final-300x138-2.png administrator2016-05-04 21:47:212016-08-26 19:01:36On New Year’s Resolutions: Your Goal is to Be Healthier. Period. 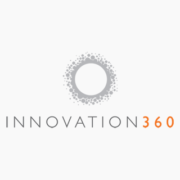 https://i360austin.com/wp-content/uploads/2016/05/001-Innovation360-Dallas.png 320 720 administrator https://i360austin.com/wp-content/uploads/2016/06/Innovation-360-main-logo-final-300x138-2.png administrator2016-05-04 19:15:352016-08-26 19:32:22What are the benefits of living a healthy lifestyle?